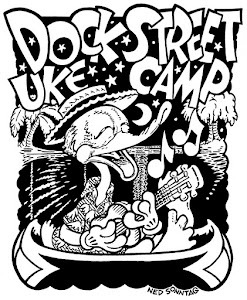 Rev Hank and his Ukulele are performing at the Osprey Arts Centre in Shelburne, NS on Sat, Sept 15 at 8PM. Also featured are Ralph Shaw, Manitoba Hal & Nigel D’Eon. My debut solo album, Rev Hank: Longhorn, has made it to the public voting round of the Aboriginal Peoples Choice Music Awards (insert fanfare here). If you have a minute, drop by the APCMA site, sign up, and place your vote for Longhorn in the Best Instrumental CD category. I sure would appreciate it! Voting ends Sept 03, 2012. PS: You do not have to be Aboriginal to vote. Uke jazz/surf group, Rev Hank Trio will be doing a warm up show at the Celtic Corner this Wednesday from 7-8:30PM. It’s Free. Come on out as we get ready for the PEI Jazz & Blues Fest. Hope to see some of you there.